A combination of Serpent Power and the Egyptian sign of Life. however I wanted to create a piece that was more versatile. 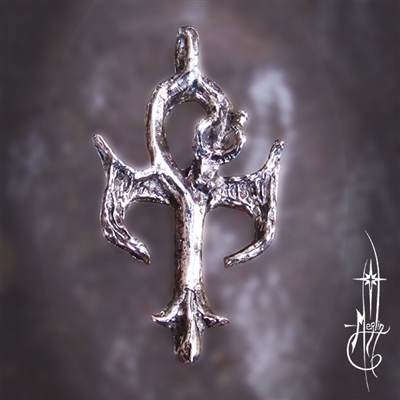 The Ankh is formed by the symbol of Kundalini: the Dragon. the chin rests at the point where the wings spread. The tail drops below completing the design. This Amulet is tiny: only ¾” but it is potent with meaning and potential. Kundalini, Martial Arts or an Egyptian enthusiast.